Welcome to our 95th Link and Share Wednesday Party!! Welcome to Link Party 95! 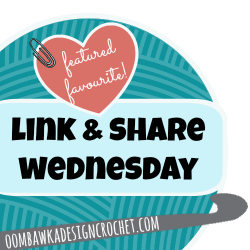 Here are the featured favourites from last week’s Link and Share Wednesday – Link Party 94 as chosen by you! . To join this week’s party, Link Party 95 please scroll to the bottom of the post! Link and Share Wednesday Party 94! Thank you very much. I am absolutely besotted with your patterns and you are such star to share with us. I am delighted and I congratulate you on your wonderful patterns and all you help. I live so far away that its a real pleasure to get your mails and your news. Sharing is whats its all about. Hi there, I am newly subscribed and I think I have missed out the part 1,2 3 of the scrapalicious bag. Is there a chance I can still get these parts? 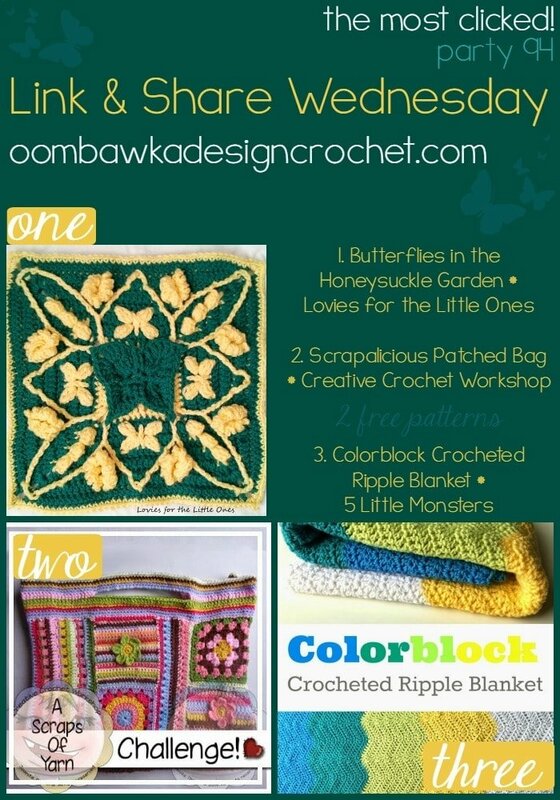 I live in Johannesburg SOuth Africa and have been crocheting since I was a little girl. This bag is just too fantastic and I am really wanting to make it. Your emails are incredibly inspiring and helpful especially as I suffer from depression and post traumatic syndrome. I so enjoy your patterns and ideas.